If you want to help your users to avoid jumping through so many hoops though, you might want to split your multi-person vCard into individual files yourself, so here’s an AWK script to do it. …where multi_person_vCard.vcf is the name of the file you want to split up. The script will create a series of files called F1.vcf, F2.vcf, F3.vcf, etc., with one contact in each file. These can be imported directly into Outlook. NB The script is a “quick and dirty” solution, and will overwrite any existing files named F1.vcf, F2.vcf, etc., so be careful of this if you use it regularly. REDAKTO: vi povas nun kontribui viajn ideojn por novaj kartoj. Bonvolu! Mi ĵus kreis esperantlingvan version de la iom furora kartludo Cards Against Humanity, kiun mi nomis Kartoj Kontraŭ Esperantujo. La origina ludo aĉeteblas, sed estas ankaŭ disponebla sub permesilo de Creative Commons. Tio signifas, ke iu ajn rajtas mem adapti, presi kaj reeldoni la ludon. Do jen tutsimple la elŝuteblaj dosieroj, por ke vi povu represi mian laboron. Ĝuu! REDAKTO 2016-05-18: ĝis nun ekzistas kvar kartaroj, laŭ mia scio — tri produktitaj de mi, kaj unu elŝutita kaj presita de amiko. Ĝi ŝajne estas tre populara ludo en diversaj (ĉefe eŭropaj) aranĝoj. Vi povas ankaŭ legi la regulojn de la ludo. Se vi volas ankaŭ fabriki skatolon, vi povas sekvi la instrukciojn kaj elŝuti la du presaĵojn por la ekstero (la A3-folion kaj la A4-folion). Cards Against Humanity is a game that describes itself as being “as despicable and awkward as you and your friends”. It’s rather wonderful for several reasons: first up, it appeals greatly to my sense of humour. But the creators chose to release the game under a Creative Commons licence — yay for them! — which means that other people are allowed to take the source material of the game, adapt it, translate it, and produce their own version. And so I did — an Esperanto version of Cards Against Humanity. Enjoy! This blog post, though, is aimed at others who want to produce their own variants of the game. It’s blowing the trumpet for the non-technical method that I used, which should be accessible to pretty much anyone with an internet connection and LibreOffice (which you can download and install for free). Click the Google Spreadsheet above to get started. It’s that time of year again, and I wanted to share this fine idea for keeping a wish list. I can’t be the only person to think of it, but I’m pleased with the way it works, so here goes. repeat from the top for your other family members — create a form for them, then share the submissions spreadsheet, excluding the concerned party from the viewing rights. Now, at any point during the year, you can think, “Ooh, I fancy one of them!” and add it to your wish list. And come your birthday, Christmas, or whatever occasion, people have a list to go at, and you get pleasantly surprised with things that you’d forgotten all about**. *Search for “google docs” if you’re not sure what Google Forms are. They’re dead easy to set up from your Google account. **If your memory is as atrocious as mine. Today, the question “How did you do that?” came up quite a few times (often preceded by, “Er, what is that?”) The answer to the latter question was, “It’s a banana xylophone”, and the answer to the other is set out below. If you’ve got ideas or suggestions for making it work even better, that’s what the comment section below is for. 🙂 There are links for downloading the software, sheet music, and booklet, all of which you’re welcome to adopt, adapt and improve. So, this week I built a banana xylophone. Add all ingredients, stir vigorously, et voilà. A couple of months ago, I happened to read that the lineup of speakers for TEDxGranta was “almost complete”. From that I learnt (a) that there was going to be a TEDx event in Cambridge, and (b) they were still looking for people to speak. 🙂 I punted them a CV and a proposed title, and no doubt after hours of weighing me up against a huge raft of unsuccessful candidates*, they accepted the proposal. Yay! It’s about the Springboard to Languages programme. It’s the best thing I know of for getting primary school kids actually using a foreign language, and it deserves more recognition and take-up than it gets. So, without further ado, here’s what I did. Enjoy! There were about 20 responses from 12 users when I came across the thread — a mixture of useful information and dismissive comments. I created an account and replied; the text of my post is copied below in full, in the first comment. It appeared on the site for about 20 minutes, but when I refreshed the page to see if there were any replies, I was told that my account had been blocked for spamming, and would never be unblocked. Charming. Going back to the thread again now, I see that the post from “Michjo” (which I refer to in my post) has also been removed, and I’ve been told that Brian Barker suffered a similar fate (both posts were polite and informative about Esperanto in Switzerland). I’ve written to the web admin to see if there’s some technical explanation and posted on their Facebook wall asking about it, but it certainly appears that dissenting voices are simply rejected from EnglishForum.ch. I’ll update this post if I hear back from them. UPDATE: an informative comment by “Enrique” was also pulled from the thread, although I’ve just noticed that a comment by “nicolee” about attending an Esperanto poetry seminar has been up there for over 36 hours now. Meanwhile, the author of “You’ll find just as many people speak Klingon as Esperanto. It’s a hobby, not a language” has been “thanked” by six other users so far. UPDATE (2011-10-09 18:08 UTC): currently there’s a comment by Lu Wunsch-Rolshoven that simply says “Maybe some of the Esperanto groups in Switzerland would be able to help you.” Let’s see how long that lasts. Incidentally, my post on the Facebook wall is still there. UPDATE (23:12 UTC): Lu Wunsch-Rolshoven actually posted three or four messages to the thread which stayed live for a few hours. In the last hour or so though, the whole thread has been made private, i.e. viewable only to forum members. Google still has the posts cached, if you want to read. PS My Facebook post is still there! UPDATE (2011-10-10 09:30 UTC): Lu Wunsch-Rolshoven’s posts have, predictably, been deleted, as has the one by “nicolee” about attending an Esperanto poetry seminar. The thread has also been moved from http://www.englishforum.ch/language-corner/127522-esperanto.html to http://www.englishforum.ch/trash-duplicate-questions/127522-esperanto.html, effectively hiding it even from members. How spectactularly rude and closed-minded. If any administrators from EnglishForum.ch would care to comment below, I’ll be happy to post their comments in full, verbatim, and permanently. You were banned under the our general ban of Spam and/or unwanted content because your location and subject matter does not fit our forum’s topic matter. To make things perfectly clear The English Forum is NOT a language forum. It’s a support group for English speaking expats who reside in Switzerland. IE; work permits, housing, social events, schooling and just fitting in to name a few. True, we do have a language area but if you take a moment to look at the description you would see why Esperanto is out of place within our forum as it is not one of Switzerland’s official national languages. If you are searching for Esperanto forums I’m sure you’ll find many online but as I’ve already stated, The English Forum is not one of them. I’m pleased that they have at least responded, but find the response rather inadequate. My post answered a question posted by another forum member. If they’re so concerned that everybody must talk only about French, German and Italian, why was the original post not removed first? Why were the snarky, unhelpful answers not removed first? (before the whole thread was taken down, obviously). It certainly looks like the informative posts about Esperanto rubbed up some moderator’s prejudices the wrong way, and a rule was found, and inconsistently applied, to back that up. Anonĉigis en Finnlando filmkonkurso nomita “POLYGLOT: on the way to Turku” (“Poligloto: survoje al Turku”). La limdato por sendi vian filmon estas la 15-a de decembro 2010 — Zamenhof-tago! — kaj la premia vojaĝo okazos inter la 3-a kaj 19-a de junio 2011. La ironie entute unulingva retejo pri la konkurso estas www.polyglot-turku.eu. La lingvo uzata ne estas la finna. Se vi havas inter 18 kaj 35 jarojn, loĝas en Eŭropo, kaj posedas kameraon kaj la emon uzi ĝin, jen spektontaro kiu atendas malkovri vian esperantistecon. Montru ĝin al ili! Despite reading manuals, a good deal of googling, and even attending Apple’s One to One tutoring for a year, I still haven’t read of a good solution for easily creating multi-lingual subtitles in DVD Studio Pro. So I made one myself, and that’s what I’m presenting here. Feel free to use it, and let me know how you get on with a comment below. (Note that it uses AWK, so it’ll work straightaway on Linux and Mac, but you’ll need to install AWK or GAWK on Windows — google for it). Please do suggest possible improvements where you see them. And this is how I go about it. (I’ll do another post about other things I tried and why they didn’t work out, but here’s what I’ve found to work after numerous dead ends). (1) Use Jubler to create the timings, either by using the method described in the first part of this article, or by following “How can I create new subtitles while the movie is played?” in the Jubler documentation. You don’t need to type the text of the subtitles if you’ve already got it in another file, although I’ve found it useful to put in one or two key words that you can later match up to the spoken dialogue. The important thing at this stage is to get the start and end point of each subtitle in the right place. Save the result as a .stl file. For the purpose of these instructions, I’ll assume it’s called blank.stl — note that it MUST be in STL format for the AWK script below to work. (2) Copy and paste the following AWK script into a new text file, and save it with the filename translateSTL. (4) Your translations need to be in a spreadsheet — Google Docs is a good option if you’re colaborating with other translators (although see comment below for one small problem, and how to get round it). Each column should contain your subtitles in a different language, with one subtitle per spreadsheet cell. The top cell of each column (in Row 1) should contain the language code of that column (e.g. 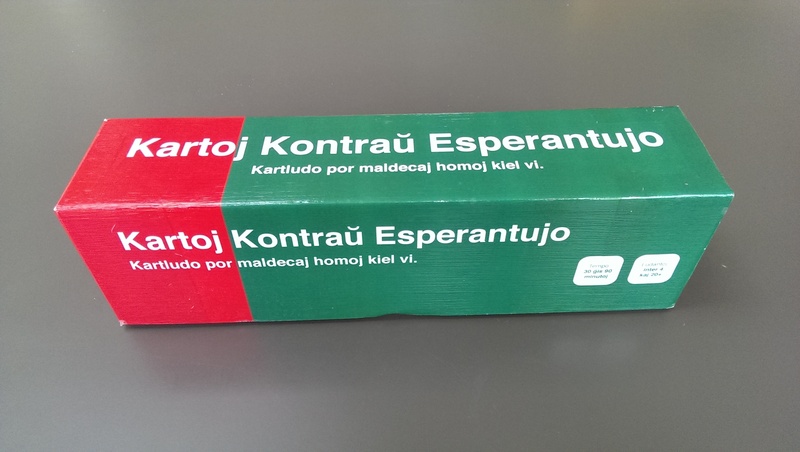 EO for Esperanto, EN for English, HU for Hungarian, etc.) And the file needs to be saved as a .csv file USING TABS, NOT COMMAS, TO SEPARATE THE FIELDS, and with NO QUOTATION MARKS AROUND THE TEXT, unless you want them to appear in your subtitles. The script above will not work if you do not use tabs as field separators. If all has gone well, you should now have a new file called EN.stl containing the timestamps you created in Jubler together with the text from the column headed “EN” from your spreadsheet. (See comment below for potential problem with the first line of your new file, and how to fix it).